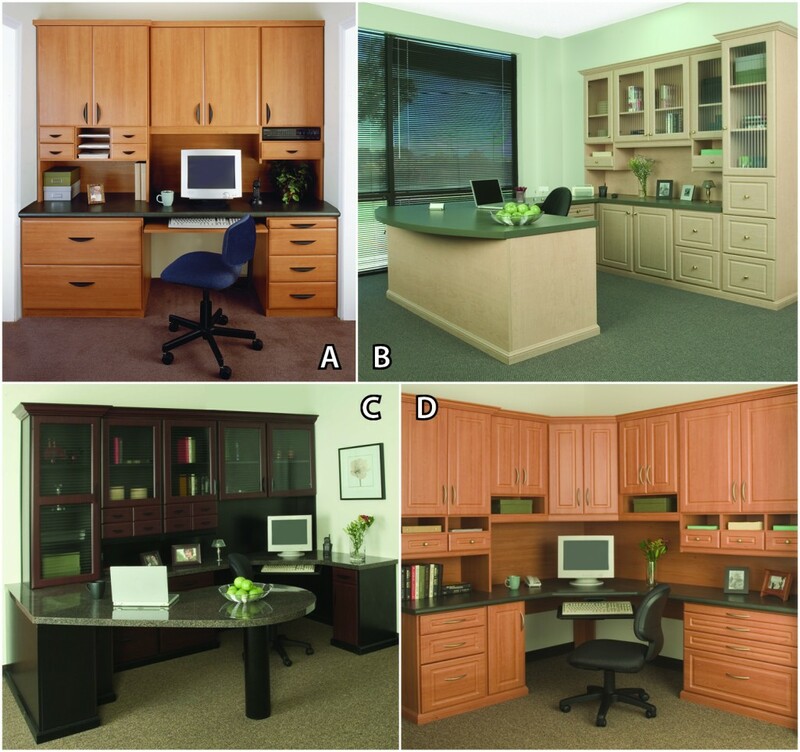 You Pick it…Which Home Office Would you Chose? A– Prestige office in a Pearwood finish melamine with Deco doors and drawers and crown molding, black hood handles and pull out keyboard tray. B– Prestige Office in a fusion maple finish melamine featuring deco drawers and doors with fluted glass inserts, curved front desk, formica counter top and bottom molding. C– Prestige office in an African walnut finish melamine with 45 degree peninsula, deco doors with fluted glass inserts, deco drawers and black hood handles. D– Prestige corner angle office in a pearwood finish melamine with deco doors and drawers and upper cabinets with cubbies. You decide which home office would you like to have in your home?